IN the year’s most unexpected new romance, reclusive Rob Kardashian appears to be dating Blac Chyna. 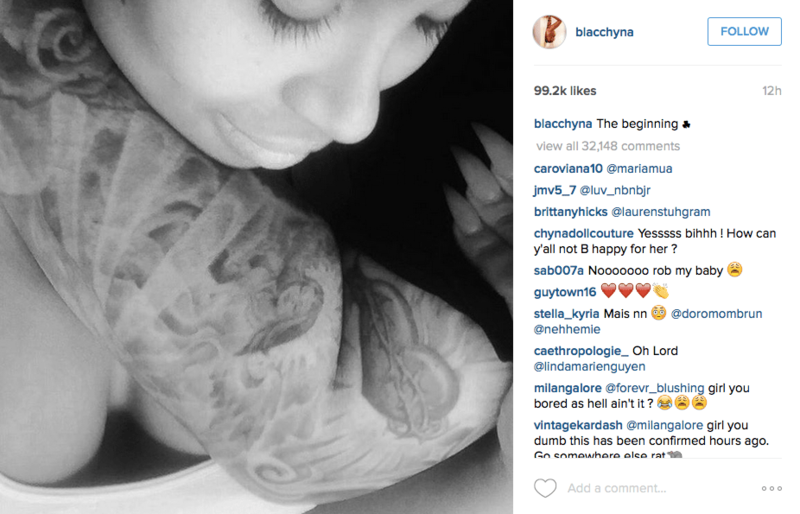 Rumors of the new hook up emerged after Blac — who was previously engaged to Kylie Jenner’s on/off boyfriend Tyga and is the mother of his three-year-old son King Cairo – posted a photo of herself with a tattooed man’s arm round her. After careful inspection the distinctive ink seems to be a perfect match to 28-year-old Rob’s sleeve. The black and white photo shows a smiling Blac, 27, entwined with the man, whose tattoos including a rose, a heart with thorns wrapped around it and an angel are a perfect match to Rob’s. After months of piling on weight, dealing with depression and a recent diabetes diagnosis, let’s hope the dating rumors are a sign the troubled Kardashian brother is finally in a better place.